Y’all, I’m seriously in love with this dish. 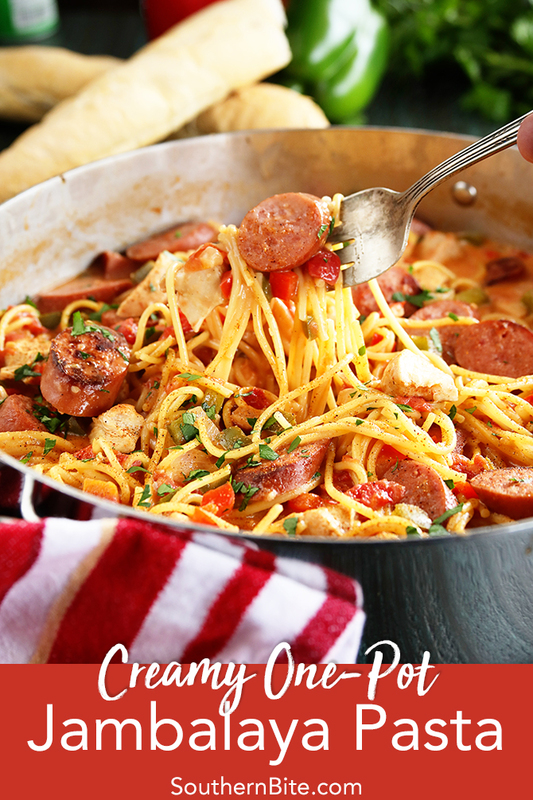 It has all the flavor of jambalaya – smoky sausage, peppers, onions, garlic, tomatoes, and just a touch of heat – in a delicious creamy pasta dish. I seriously can’t get enough of this stuff. It’s the kind of dish that I have to take a bite of every time I walk by it as it sits on the stove top. But it’s not too spicy. I wouldn’t hesitate serving this to Jack. 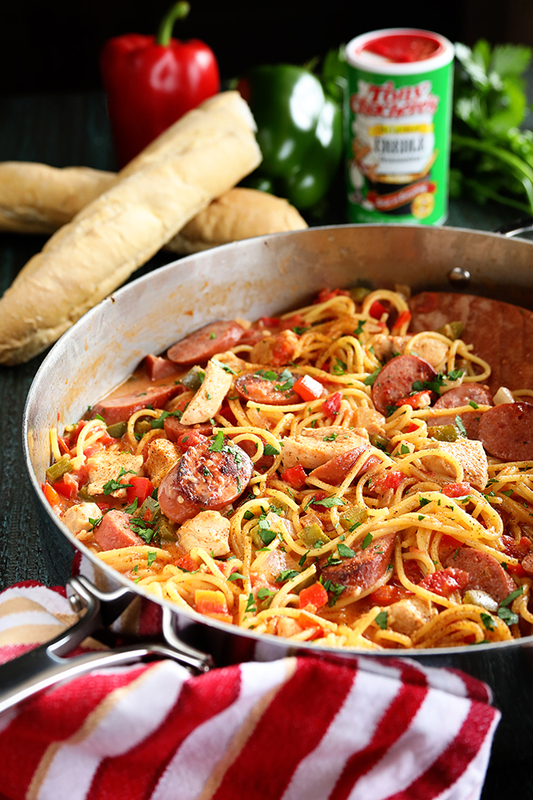 That said, if spice is your thing, you can simply add in some more of that Tony Chachere’s Original Creole Seasoning to kick it up even more. Heat the oil in large skillet over medium heat. Add the chicken and sprinkle with the Creole seasoning. Add the sausage and cook, stirring occasionally, until the sausage has browned and the chicken is no longer pink on the outside. Use a slotted spoon to remove the meat to a bowl - leaving the grease in the pan. Set aside. Add the onions and peppers and cook until soft - 3 to 5 minutes. Add the garlic and cook for 1 minute. Add the chicken broth and canned tomatoes with the juice. Stir to combine. Break the pasta in half and add into the pan, pressing it into the liquid. 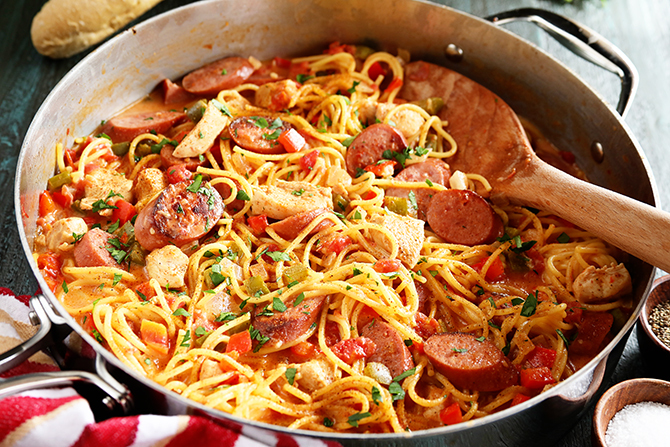 Add the chicken and sausage back to the pan on top of the pasta. Cover and simmer for 5 minutes. Uncover, stir, and replace the lid. 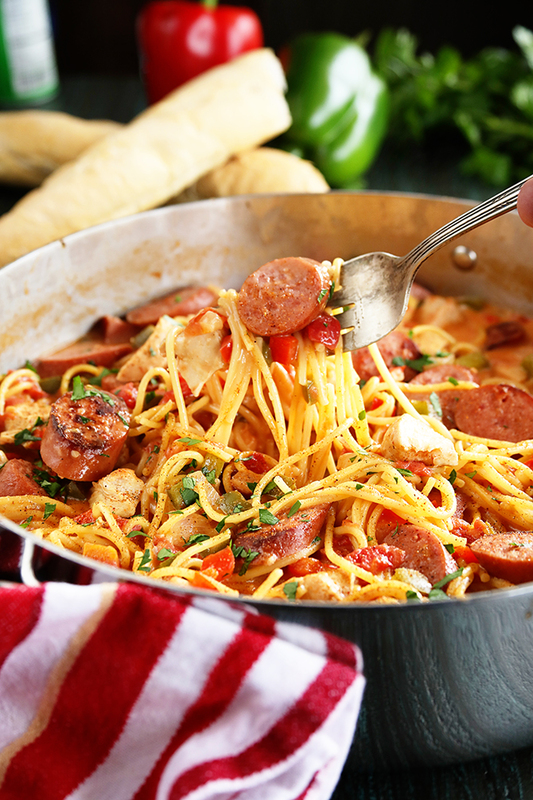 Cook for an additional 8 to 10 minutes, or until the pasta is tender. In a small bowl, whisk the corn starch into the heavy cream. Pour it into the pasta and stir to combine. Simmer until the sauce thickens. Add additional Creole seasoning to taste. Allow to rest for about 5 minutes before serving. 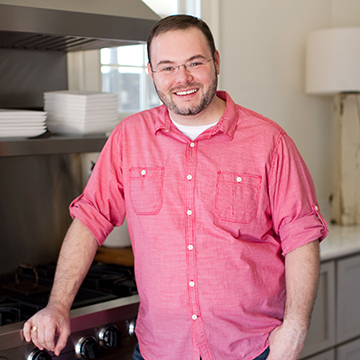 This post is sponsored by my friends at Tony Chachere’s, but the thoughts and opinions here are all my own – just as always. Thanks for supporting the brands that support me. 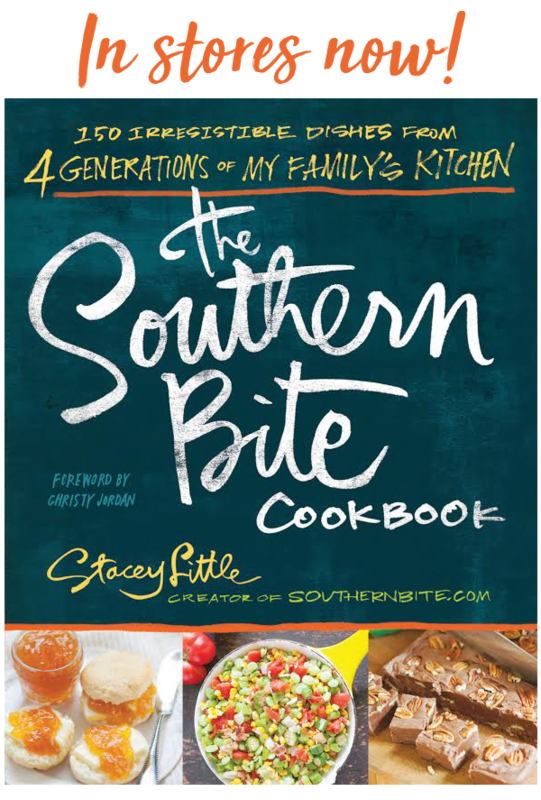 Hey Stacey, can you advise what’s in the creole seasoning? We can’t get your specific brand here. Thanks much. The dish looks and sounds wonderful. 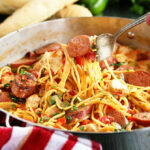 Looks delicious a dish my Cajun husband would love. Would this dish freeze well? I’ve not tried it. I’m afraid of how the sauce would reheat. It just depends on how much Creole seasoning you use.